Kimie the sheep doesn't trust anyone, but a donkey named Fernando is the exception to the rule. Kimie's life so far has not been easy. 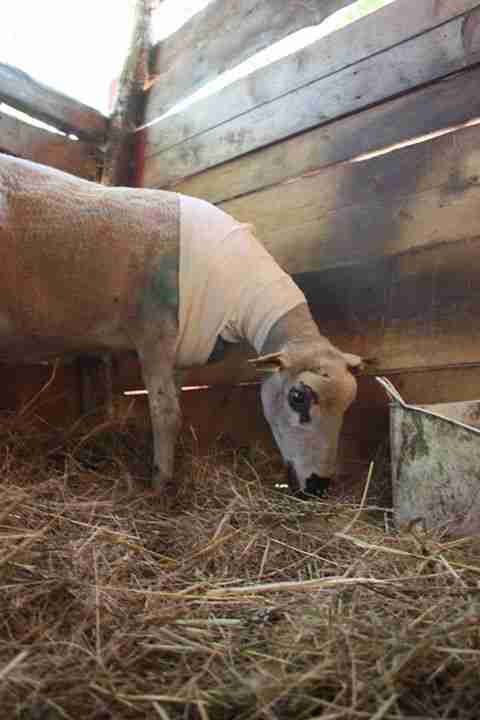 After she was attacked by a dog, her owners didn't want to treat the wounds on her neck that could have killed her. They wanted to sell her and didn't care if she lived or died. Not only that, Kimie was expecting a baby. Suffering and pregnant, she was scared of just about everyone, and her future was uncertain. 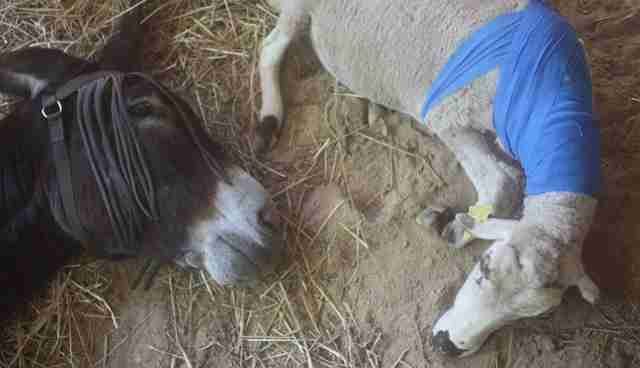 But then the people at Mino Valley Farm Sanctuary, a refuge for animals in Spain, heard of Kimie and were determined to help turn her hard life around. "The farmer wanted to kill her because the treatment was too expensive and time consuming," Mino Valley Farm Sanctuary told The Dodo. "Our vet knew that we would be willing to try and save her so he brought her here to the sanctuary. It wasn't until she arrived that we realized that she was pregnant!" 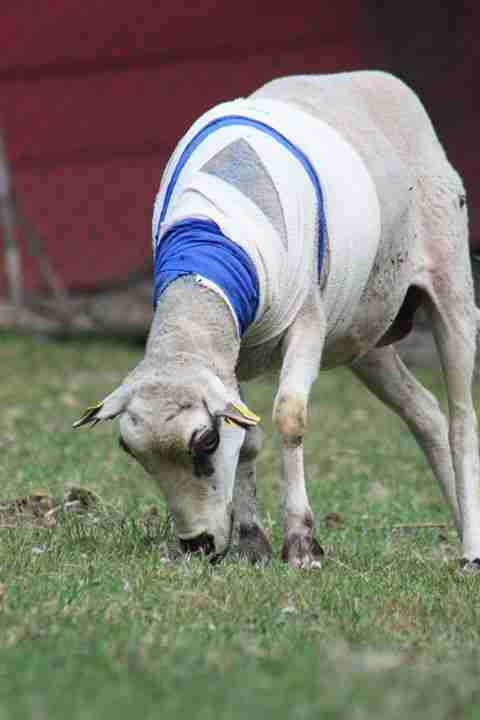 When she arrived at the sanctuary, Kimie was only just surviving, the sanctuary said. "Her will to carry on made stronger by the precious unborn baby growing inside her." Over the summer, Kimie slowly became healthier - and she gave birth to a healthy boy named Hakeem. Despite her good fortune, finding sanctuary and building a family, Kimie still struggles with her wounds, physical and emotional. 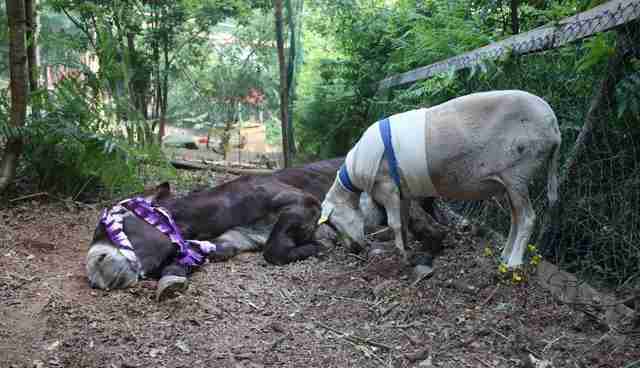 This is where Fernando, a rescued donkey who had to endure a hard plight of his own, comes in. Mino Valley Farm Sanctuary on Instagram: "Kimie & Fernando have become best friends . 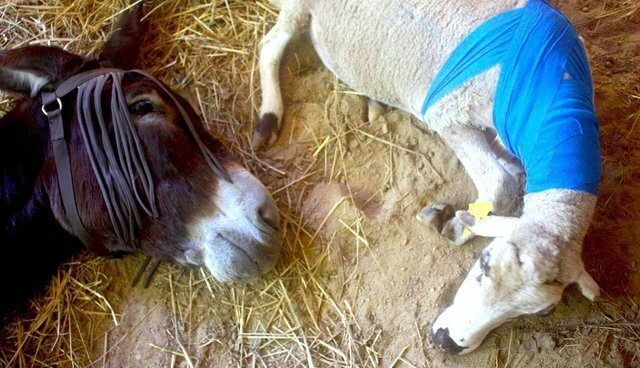 Fernando likes to chill in the sun with his makeshift fly mask while Kimie keeps him company..."
Ever since Kimie arrived at the sanctuary, Fernando - who was left to die in a field after he got injured and couldn't work anymore - has kept a careful watch over her. Mino Valley Farm Sanctuary on Instagram: "Fernando & Kimie â¤ï¸â¤ï¸â¤ï¸ ever since Kimie arrived Fernando has taken care of her, looked out for her, and kept her company, especially while..."
"Animals are so much more complex than we give them credit for," the sanctuary wrote on Instagram, "and these two are a testament to that." 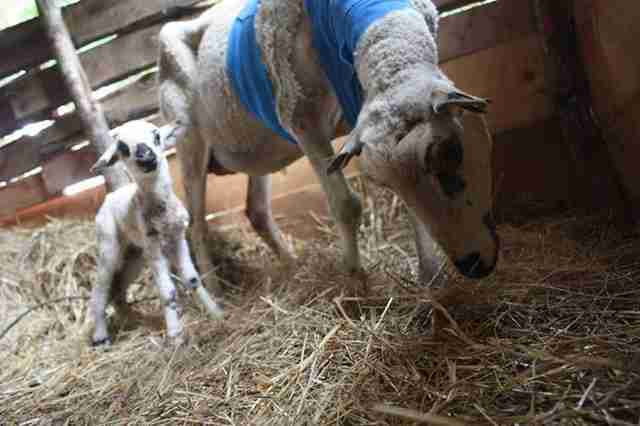 Help Mino Valley Farm Sanctuary care for these incredible survivors here. 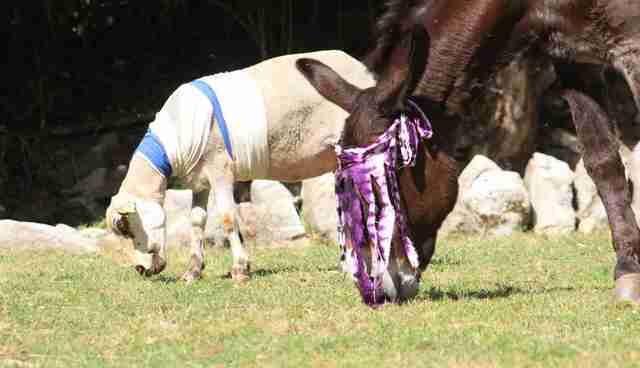 Then, read Fernando the donkey's incredible rescue story here.